Ceiling fans are a useful addition to any home, but due to their lack of style, many homeowners prefer a decorative light fixture to the functionality of a fan. If you could benefit from having a ceiling fan in your home, but would rather avoid mounting an unsightly common fan to your living room ceiling, take a look at the collection of Minka Aire fans. For those who value style above all else, Minka Aire has struck the perfect balance between form and function, allowing those who might not usually enjoy ceiling fans the option of adding one to their homes. Beaches, cool beverages, and days spent languishing in the sun: it’s finally summertime! But despite the many outdoor activities the summer season offers, not every day can be spent outside, especially when summer temperatures rise to scorching degrees. If you want to keep your home cool and well-ventilated, you’ll want to invest in a ceiling fan; Casablanca ceiling fans are one of the best ways to get fresh air moving in your house. While many people have air conditioning systems in their homes, AC can often leave a space feeling stuffy. Artificially cool air is no replacement for a nice, fresh breeze. Plus, having the AC running all the time can hike up power bills, whereas ceiling fans are designed to cool your home as efficiently and cost-effectively as possible. Monte Carlo…what do you think of when you hear that name? Glamor, romance, energy, and chic? Monaco, casinos, fast cars, airplanes? Excitement? Do you see ceiling fans when you think of Monte Carlo? There are three very important reasons to make a ceiling fan a part of your home design plans — lowered energy costs, functional beauty, and ambience. Monte Carlo ceiling fans provide all three. It’s hard to keep cool during the hot months of summer, and there’s nothing worse than being overheated and miserable when you’re in your own home. It’s easy to look to air conditioning as the solution, but a good ceiling fan can keep you just as comfortable – and you don’t have to break the bank to invest in one. 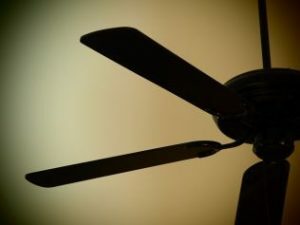 On top of that, a ceiling fan will keep the air circulating around the room and won’t dry out all the air in your home. A Monte Carlo ceiling fan is a stylish way to keep a room cool, even when the heat outside is scorching. When it comes to decorating and energy savings, ceiling fans are known to be a fantastic choice. How much are you saving and how economical is it? It is one thing to be aware of how much they can help your home and your finances, but it is quite another to have some solid evidence of the benefits. The following is just a few of the ways that you can save time, space, and money with a Minka Aire ceiling fan. When one thinks of a ceiling fan, they think of a roof utility that is designed to cool down a room. They are turned off by the idea of a mismatched and overly large fixture hanging from a ceiling. None of this could be further from the truth. 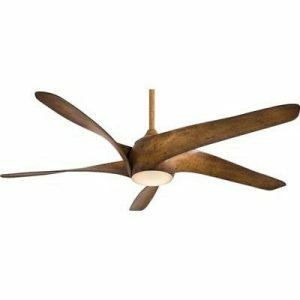 When it comes to Minka Aire ceiling fans for homes, for instance, there are a wide variety of styles. It is difficult to narrow down your choices for your own personal room or space. When people want to talk about things that are new, inventive, refreshing and enjoyable, they say that “it’s a breath of fresh air”. And if you think about a real breath of fresh air, it’s all of those things. It can cool you down when you’re feeling overheated, help you breathe when you’ve been stuck somewhere stuffy, and generally make you feel like a new and improved human being. At Crescent Harbor, we decided to take this saying literally with our Minka Aire line of ceiling fans, which were designed to make your home feel fresh and new, both in appearance and in air quality! Everybody loves a breath of fresh air, especially in the summertime. Sunshine and warm weather are beautiful things that allow us to do all kinds of activities that are off the table during times of rain and snow. But we all know that too much of a good thing can be less than good. When it gets really, really hot, we don’t want to do anything besides sit down somewhere with a cold drink, a good book, and a fan to keep the air from feeling stuffy and stifling. That’s where the Minka Aire line of ceiling fans from Crescent Harbor come in handy. They’re an easy, elegant, and effective way to keep your space cool without sending your power bill through the roof. Ceiling Fans – A Huge Asset to Any Home’s Décor! The décor of your home is important for its individuality and feel. It is also a great way for you to express your own tastes and unique style. We all know about the common ways that you can decorate your home—accent chairs, art, paint, knickknacks. The opportunities for decorations are practically endless, but one great way to spruce up a room is by adding in a bit of special lighting with a twist (literally). Ceiling fans make great décor pieces because they not only add a flare of design, but they also add a bit of practicality to the space. Air circulation is important for our health and it generally just makes us feel better not having to breathe stale, stagnant air. So really, a ceiling fan makes a great decorative piece and it’s incredibly useful.